Michael Ahern , writing in the Cork Historical and Archaeological Journal has an article called “The Quakers of Youghal” which details the various families from the outset to the 20th century. 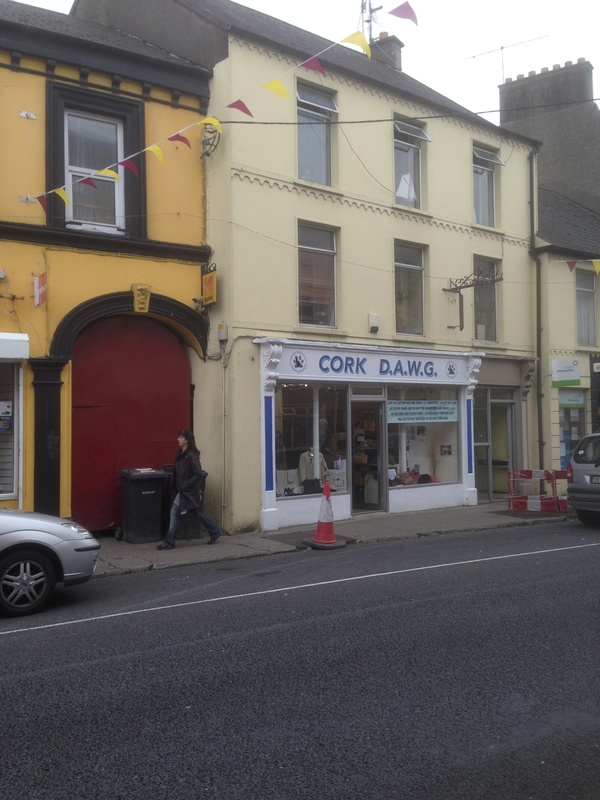 Initially two English women preached at the Market Square in Youghal ( today near the Post Office there would have been a Cross and north of it was North Cross Lane which still exists). The two brave ladies were Elizabeth Fletcher and Elizabeth Smith. Some of the soldiers who hear them became interested – in particular Captain James Sicklemore and Lieutenant Robert Sandham. Sandham married a local girl, Deborah Baker. both officers got land at Fermoy but Sandham sold his and returned to Youghal where he lived on the Main Street and his house was used as the first Meeting House. The authorities were not happy and posted sentries on the door to prevent men entering the premises for a “meeting”. At that stage some Quakers left the town – six men and women and nine children were given money to help them leave. One of the others convinced was Edward Laundy. 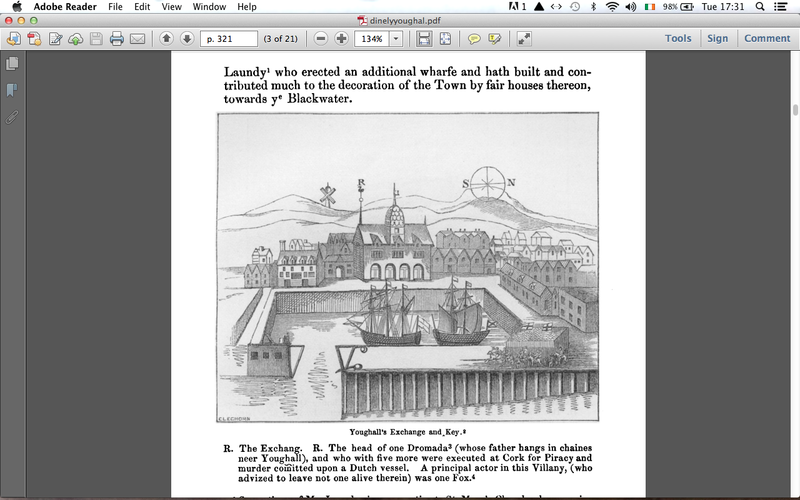 We hear of him in a few places – Thomas Dinely mentions that he erected an additional wharf etc. William Penn mentions concern about him and tries to meet with him. We also hear of him going into St. Mary’s Collegiate Church to harangue the congregation. They clearly did not appreciate his intervention, he was manhandled out of the church and physically abused by the congregation with both sticks and stones. Deborah Sandham was equally unwelcome when she went into St. Mary ‘s and also the church of the Independents ( Chapel Lane) and Robert Sandham was jailed in 1661 for refusing to serve on a jury, and his horse taken from him. This entry was posted in Archive, Conference and tagged history, Quakers, Youghal on November 30, 2013 by Youghal Celebrates History.